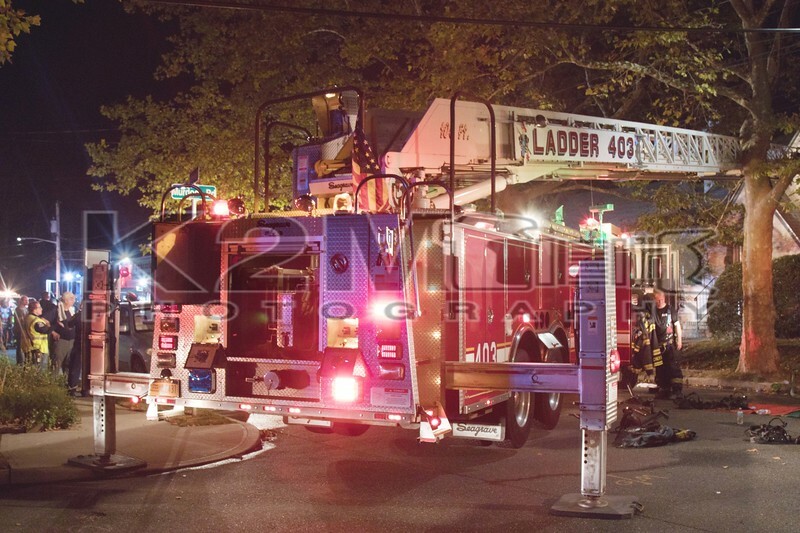 On the night of Friday, October 6th, 2017 the East Rockaway Fire Department was dispatched to fire in the walls on the second floor of 24 Mildred Place off Murdock Road. When firefighters arrived on scene they were met with smoke showing from a two-story private dwelling leading to the transmission of a signal ten [working fire]. Upon further investigation firefighters found fire in the walls on the first and second floors. East Rockaway Engine 406 was the first engine to arrive on scene and had two hand lines stretched with at least one going into operation. Lynbrook was designated the FAST and responded with Ladder 427. Units from Lynbrook and Oceanside stood by for East Rockaway during the operation. The cause of the fire is under investigation and all fire department units were under the command of East Rockaway First Assistant Chief Passanisi. Click here to see the rest of the images from K2M Photography’s gallery, Mildred Place [10-6-17].